So, your house has “cold spots” during the winter, making it uncomfortable when temperatures dip below freezing. Maybe you’re living in an older house, built in a time before central comfort systems were common. Or, you might be considering an addition to your house or finishing your basement but are hesitant to do so. 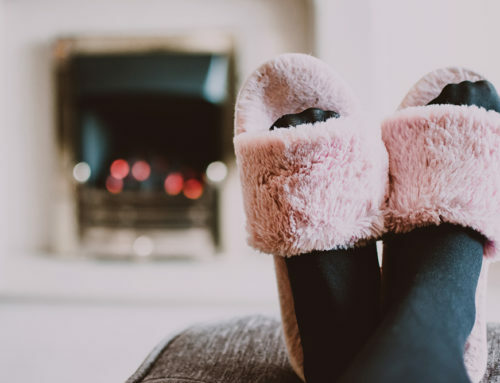 True, you might think that there isn’t an effective way to have quality comfort and instead plan on using space heaters as a heat supplement during the coming winter. It might be time to consider a ductless heating system. Say what? If you think you must install air ducts as a distribution system in order to enjoy forced air heating in any room in your home, we’ve got news for you. You can actually opt for a ductless system, allowing you to avoid various issues associated with ductwork. What is ductless? You guessed it – no ductwork. True to its name, a ductless heating system does not require extensive ductwork to transport heat throughout your home. Simply stated, a ductless heating system operates without the use of air ducts. 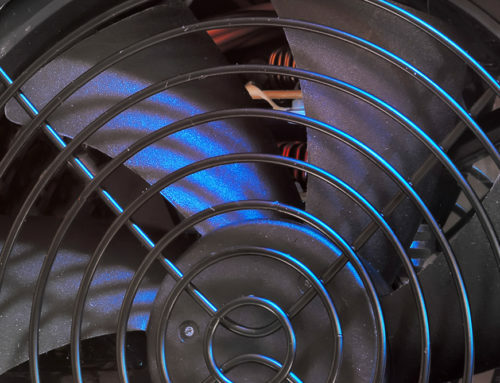 These systems still blow heated air throughout the house, but unlike systems such as radiant heaters, which don’t use ductwork because they don’t deal with forced air. Quite well, if we do say so ourselves. Ductless heating consists of a main heating unit that is installed outside your home, as well as a series of indoor air handlers. So, rather than a series of ducts, these air handlers are connected to the outdoor unit via a small conduit that runs through your home’s walls. Air is blown directly into a space instead of being transported through ductwork to get to its destination. Each indoor unit can be controlled and adjusted individually to heat a certain area. Ductless systems keep your home at a constant comfort level, provide cleaner air and can reduce your energy costs by as much as 50 percent. Ductless systems are an efficient way to expand your comfort, no matter the challenges your space presents. Moreover, they are excellent for a variety of applications and their popularity is skyrocketing. Sure, you’re going to have to have your ductless system serviced occasionally. What heating system doesn’t? In most instances, however, routine system maintenance is limited to keeping indoor filters and outdoor coils clean and these tasks can be easily performed by the homeowner. Fact: Did you know that ductless systems have been around the U.S. since the 1970s? It’s also a primary system used throughout many homes in Europe and Asia because of their efficiency. Note: Obviously, these ductless systems are built to handle both heating and cooling. 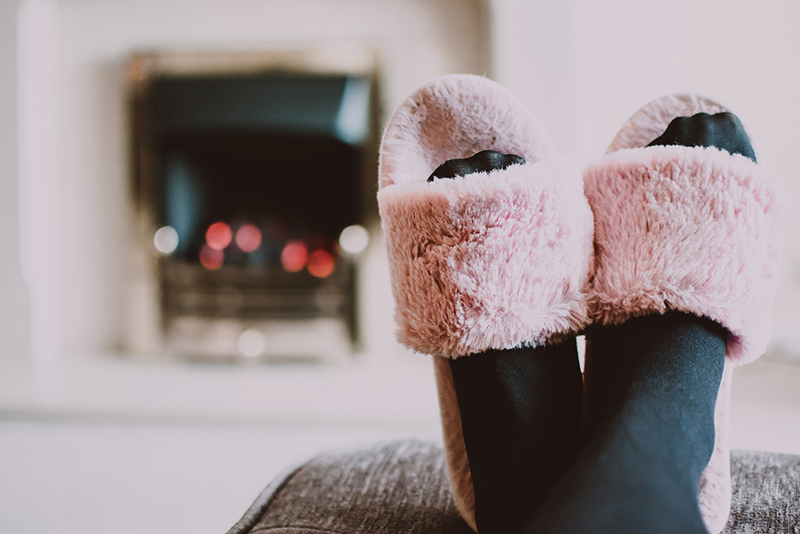 However, in this particular blog, with winter fast approaching, we’re going to consider the advantages of using this system to provide heating comfort to your home, particularly an older home such as those that reside throughout the Pittsburgh area. Before proceeding, it’s important to point out that these ductless systems are referred to as mini-split, multi-split or variable refrigerant flow (VRF) heat pump systems. So, why should I consider a ductless heating system? Ductless systems offer a great heating solution for older homes that were not constructed with a ductwork. Even difficult-to-maintain rooms are easily controlled with a multiunit system, because each area has its own control unit. For “empty nesters” who don’t want to heat rooms they aren’t using, you might be tempted to shut HVAC vents in those empty rooms. But this can cause pressure imbalances and mold problems. It’s far better to install a ductless system in, say, the master bedroom and set the home’s main thermostat to run minimally. Ductless systems only use as much energy as needed to heat a small space; therefore, they are far more energy efficient than any other type of conventional heating system. Perhaps you’re thinking about adding to your home or finishing a basement or attic. Think about the benefits of a ductless system. We invite you to read further. A ductless system is a cost-effective way to bring comfort to a room that you may put off using due to being too hot or too cold. Oh, about that new addition. Expanding your ducted system often involves lowering ceilings or otherwise taking away space. Ductless systems are the easy alternative to eliminate a step of construction when adding a new room to your home. Instead of extending the home’s existing ductwork or pipes or adding inefficient electric heaters, installing a ductless system can provide efficient heating at a lower operating cost. And you won’t be cutting corners at all – in fact, you might be gaining the space of all your corners. Going ductless is also a great way to upgrade your inefficient baseboard heaters. Rather than extending your home’s current ductwork or adding electrical resistance heaters, a ductless system delivers efficient heating and is less expensive to install. Today’s ductless systems not only do away with large and difficult-to-install ducts, but they also provide cost savings and flexibility that a traditional heating system cannot provide. But I have a manufactured home! Installing a ductless system in a new or existing manufactured home is easy. 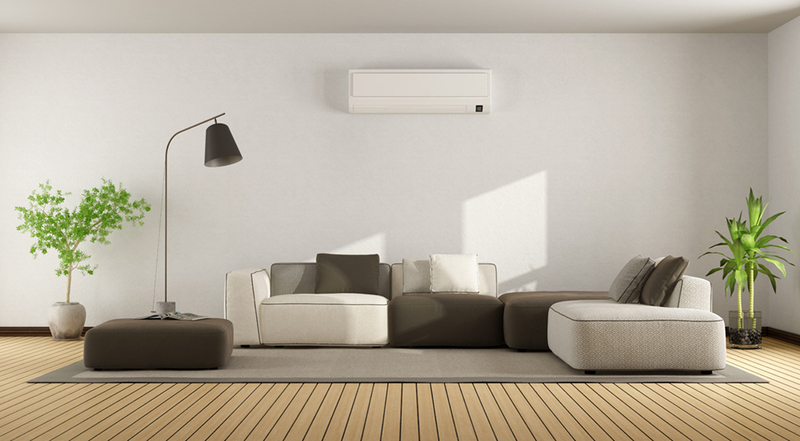 Unlike electric furnaces, ductless systems provide quiet and even air distribution, assuring a comfortable environment even on the coldest days. What if I’m planning a new home? New home designs can be easily adapted to take full advantage of a ductless heating (and cooling) system. No matter the size of the home, a system can be designed to simplify installation that is truly ultra-quiet. 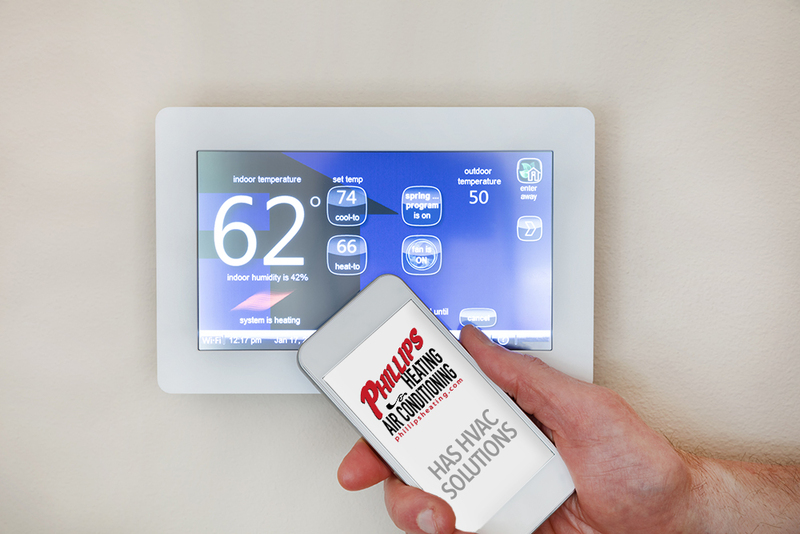 Phillips Heating & Air Conditioning technicians are experienced in the whole-house design of ductless services that deliver comfort no matter the layout. Let’s look at some other benefits of ductless heating systems. Quick, easy installation to save time, money. . . often, in one day only. Ducted systems can take several weeks to install, they interrupt daily life in the home and can take up valuable real estate due to their size. Ductless systems are far less invasive than conventional ducted systems. Because ductless systems are so simple in construction, installation is easier, faster and usually less expensive for most homes. After all, it’s much easier and quicker to fish a narrow bundle of insulated lines through your house than attempt to retrofit bulky heating ducts. No costly ductwork is necessary and there’s only minor disruption to your property. The outdoor unit is situated along side your home and small piping leading to indoor unit(s) require only a three-inch hole in the wall. 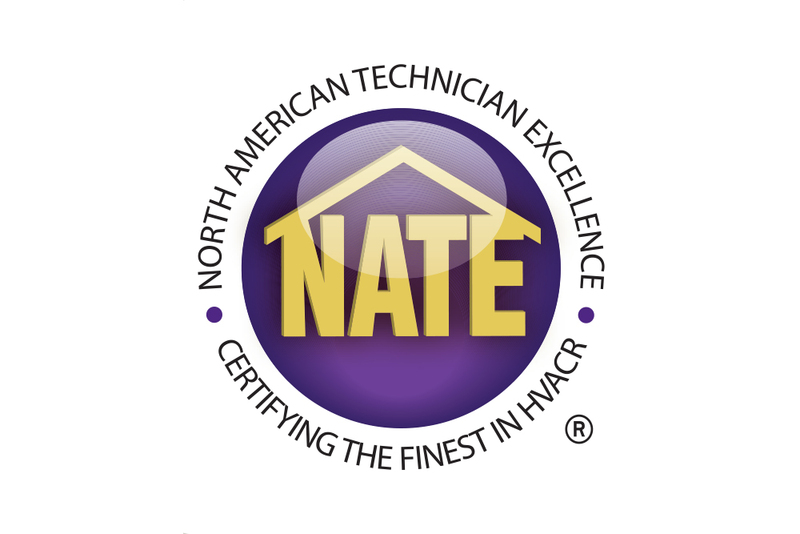 Most often, a professional heating installation team can install your ductless system in just one day. Your Phillips Heating & Air Conditioning team is trained and highly experienced in the installation of ductless heating systems. Ductless heating systems offer you various options in the manner in which they are installed. As an example, you might prefer different areas of your home to be set at a range of temperatures. In this instance, each of these areas will have its own thermostat, so you only need to heat the space when occupied. Customization – You might want to keep those spaces you use the most at a precise temperature. Keep the kitchen a bit cooler or perhaps maintain the workshop at a more comfortable temperature. Because each space has its own control unit, it’s your choice. You can even better heat areas where a duct system just can’t reach. Compared with other add-on systems, ductless systems offer more flexibility in interior design options. The indoor air handlers can be suspended from a ceiling, mounted flush into a drop ceiling, or hung on a wall. Such wall units are also available in a variety of sizes best suited to how you use the room, as well as being offered in a variety of colors to blend with your furnishings. Most indoor units present a profile of about seven inches deep and usually come with sleek, high-tech looking covers to conveniently fit most any interior decor. As noted, ductless systems are ideal for addressing heating issues in a concentrated space in your house, such as a cold spot in a room that doesn’t have existing ductwork. For this so-called “targeted” heating, a single zone ductless system is perfect. However, ductless systems are ideal for heating more than a single room. Depending on the model, the outdoor unit can deliver heat for up to eight different zones or rooms in your house. Imagine someone whispering to you standing five feet way – that’s how quietly a ductless system operates. 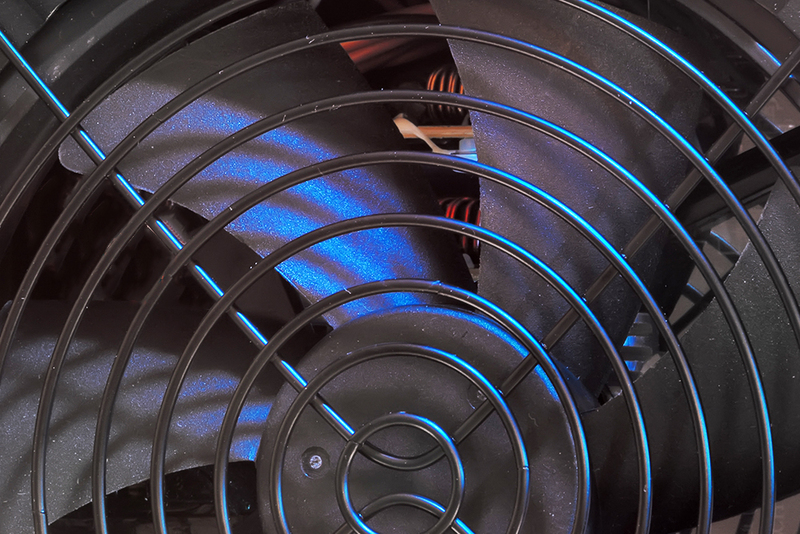 It’s heating that is truly ultra-quiet. Manage your home’s heating from the palm of your hand. Comfort is more than controlling heating. It’s being able to do it effortlessly. As well as wireless remote-control option is another way ductless offers personal comfort from every angle. Plus, for your smartphone aficionados, as the popular saying goes, “there’s an app for that.” In this instance, the app gives you complete control over your home’s heating system no matter where you are. One more thing – most ductless systems are meant to keep a room warm in temperatures as low as 13 degrees below zero. Your neighbors might be sitting around wrapped in blankets watching the Steelers play, but your living space will remain comfortable throughout the entire broadcast and beyond. In a traditional heating system, as we’ve described, air is moved through your house via a system of ductwork situated throughout your home, even in crawl spaces and the attic. Of course, no ducts, no worry! With a ductless system, there’s no such energy loss since there is no ductwork. Having no ducts also means the entire system doesn’t have to start up every time you switch it off and on. Moreover, ductless systems are smaller than comparable ductwork, which can mean added cost savings since you’re using less power. And since the hot air in a ductless system is delivered directly into a room rather than an entire house, you’re not heating spaces that aren’t occupied, for even more savings. Lastly, a highly-efficient ductless system features state-of-the-art technology that will respond to your needs. No fiddling with the settings – the programmed temperature is sustained by nonstop monitoring that keeps you comfortable, with no excessive heating, drastically cutting your energy costs. Forget turning up the heat, set your thermostat and let it maintain the desired comfort level. This kind of energy savings can really add up over time, helping to offset the initial costs of a ductless heating system. If you’re intrigued about the idea of ductless heating, simply contact the heating specialists at Phillips Heating & Air Conditioning. We are an authorized Diamond Contractor for Mitsubishi Electric Heating & Cooling ductless systems. 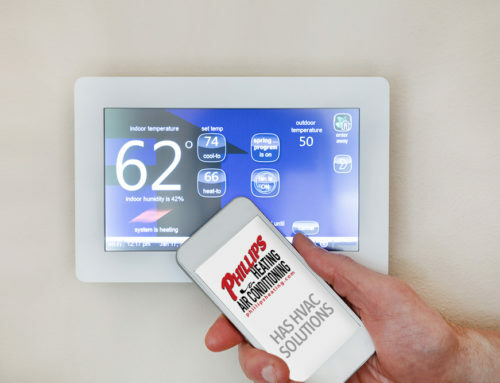 Rest assured our technicians here at Phillips Heating & Air Conditioning have the experience and know-how necessary to perform successful, long-lasting installation. 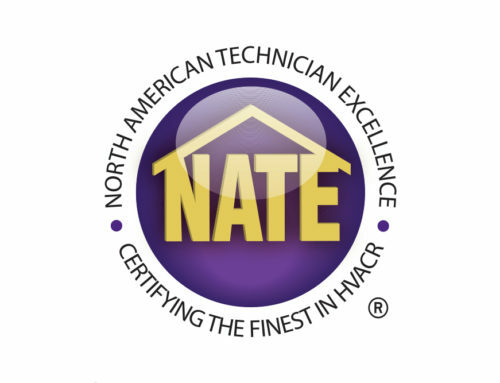 We are ductless systems experts in the Pittsburgh region and offer free installation estimates, parts and labor warranties, and 24-hour emergency service.